I've never been much good at colour correcting and to be honest I've never really found a colour correcting product I actually really like. A lot either seem to be chalky or impossible to blend. 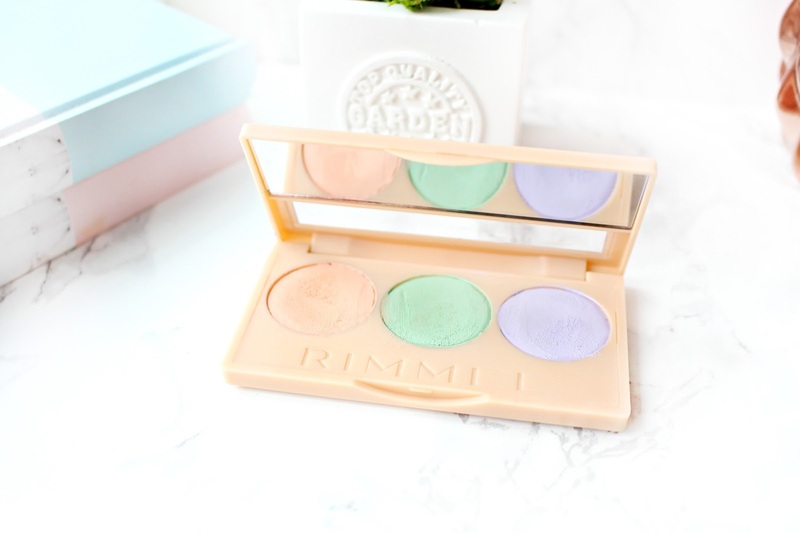 However, a little while back I decided to give the new Rimmel #INSTA Colour Correcting Palette a go and I'm happy to report that it is definitely one of the better colour correcting products I've tried. 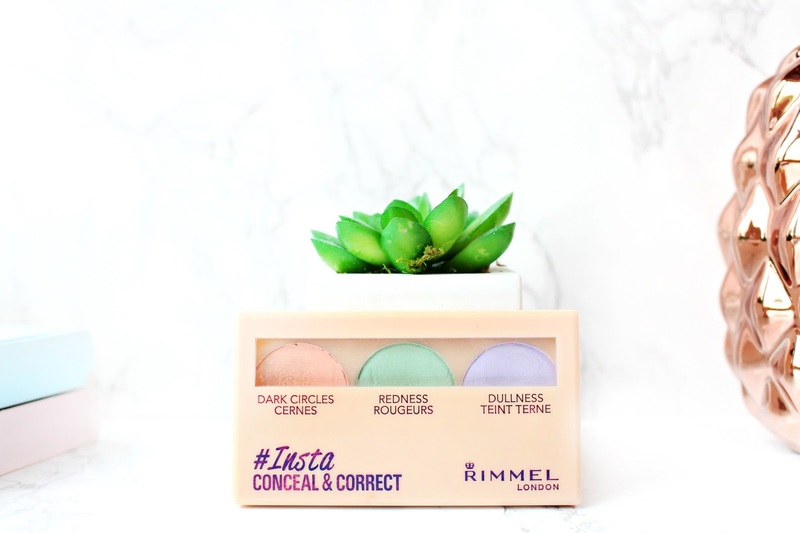 The Rimmel London #Insta Conceal & Correct Palette (£6.49) is a dinky correcting palette, which is super cute to look at and also very travel friendly. With Instagram still being a thing (despite the algorithm woes) I love that this palette is on trend and actually it does really work. There are three shades; a lovely peachy shade to combat dark circles, a vibrant green shade to hide redness and finally a lovely lilac shade to add brightness to any dull areas. As I mentioned earlier I've tried quite a few high end and drugstore correctors and they haven't really done that much or have ended making me look a little scary! I love that the texture of the #INSTA palette is so creamy and velvety, which allows you to blend with ease. My favourite shade is the green as it does such an amazing job of covering up redness, which I have around my cheeks and forehead. The peachy shade is equally lovely and does a good job of neutralising my dreaded dark circles. I haven't found as much use for the lilac shade yet, but it is still great quality and totally blendable like the other shades. There is also a hand diagram on the back of the palette to give you a guidance on how to apply for the best results. I'm not quite sure if I will give up my Insta filters, but I'm so happy to find a budget corrector palette that really does work. I hope you have enjoyed this review, have you tried anything from the #INSTA range?